Author: Serbian government. Licence: All rights reserved. BELGRADE (Serbia), February 8 (SeeNews) - Turkish car parts manufacturer Teklas plans to expand its factory in the southern Serbian town of Vladicin Han by hiring 500 more employees, Serbia's president Aleksandar Vucic said. The owner of Teklas has recently announced that the company plans to open 500 more jobs at the Vladicin Han factory, Vucic said in a video file posted on the website of news agency Tanjug on Thursday. The car parts manufacturer opened its factory in Vladicin Han in April 2016 after receiving a state subsidy of 4.7 million euro ($5.3 million) for the project, the Serbian government said at the time. The company plans to invest a total of 11.35 million euro in Serbia, the government said back in April 2016. Elsewhere in Southeastern Europe, Teklas operates a factory in Bulgaria's Kardzhali. 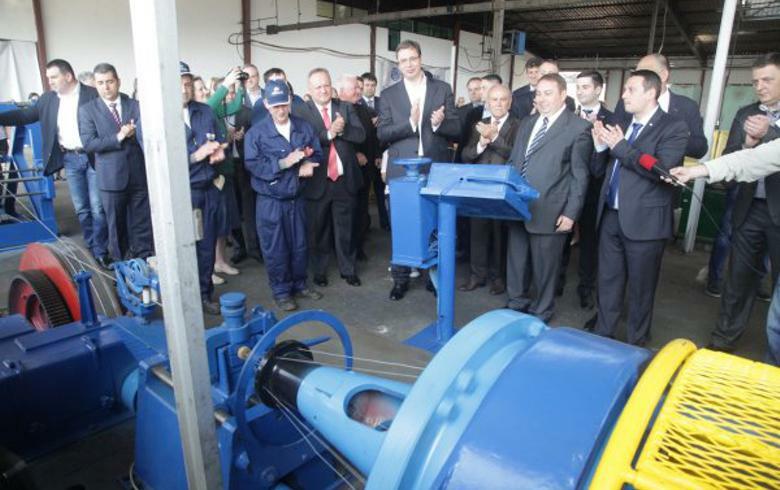 Earlier this week, the mayor of Vratsa, in northwestern Bulgaria, said a local unit of Teklas intends to invest over 30 million levs in a new manufacturing plant in the town. The company will initially employ 500 people at the new factory and double their number at a later stage.